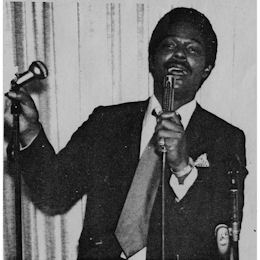 Tommy Youngblood – whose real name was Wilee Lee McEwen - was born in Holly Springs, Mississippi, but got his start in secular show business through Memphis legend Roscoe Gordon, after the usual early gospel backgound. In LA after an interlude in Uncle Sam’s armed forces, he joined Jessie Belvin in the Shields and cut “You Cheated You Lied”, which was a huge seller in 1958. As a solo performer he moved firmly into an R & B bag where his huge voice, chock full of authority and power was extremely effective. He was also a songwriter of considerable ability, penning the vast majority of his tunes. Sadly in the very frantic and crowded Los Angleles soul blues scene of the 60s he was unable to get a really big hit. It is very difficult to work out the order of his early releases as they appeared on small labels. 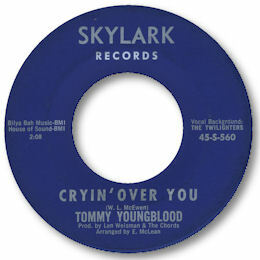 His Skylark 45 for example sounds very early indeed in the 60s thanks to a cooing girl chorus, but “Crying Over You” is a fine punchy number. 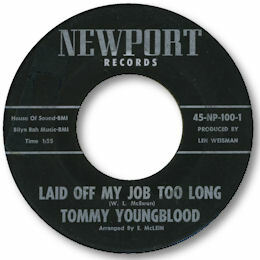 The obscure Newport 45 “Laid Off My Job Too Long” is similar in style but with a tougher backing and a more accomplished performance from Youngblood. Better though was the Rayco Now You’re On Your Own” which is a rousing uptempo song with excellent horn support behind a gritty throaty Youngblood vocal. His 45s for the larger Chattahoochie concern are all well worth seeking out. 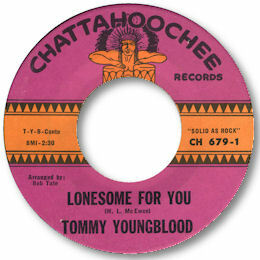 The best of these – and Youngblood’s first real killer cut – was the wonderful blues ballad Lonesome For You”. This has a lovely laid back rhythm track, and well arranged horns courtesy of producer Bob Tate but it is the aggressive attack that Youngblood brings to his singing that really hits the spot. Of course the track owes a lot to the master of the genre Bobby Bland but this is still a track that should really be a lot better appreciated than it is – superb. Towards the end of the decade Youngblood got his chance to cut for Kent and he made a really good fist of this opportunity, moving into a more soul orientated framework with ease, just like the more celebrated ZZ Hill did. “Hey Little Girl” (not on the album) was a mid tempo soul blues that Mr Hill would have been proud of, and the tracks that did feature on the set were as strong as anything else coming from LA at the time. . The horn-rich backdrop of the set made it one of Kent’s most southern sounding albums – I don’t know why it’s been so neglected. Whether it’s the bluesy funk of “Who Will You Favour”, the social realism of “Tobacco Road” or the superb deep emotion of For The Love Of A Woman”, this is high quality soul music from a fine baritone singer who deserved to hit it big. Perhaps the best cut from the album is Why Should I Be The One” a deep bluesy ballad on which Tommy really cuts loose in a vocal of heartfelt emotion. Really raw and convincing. Tommy seemed to disappear in the 70s but in the following decade re-released some of his early material on his own TYB label under his real name both as singles (confusingly all with the same number) and on a “home made” LP mainly to sell at his gigs I would guess. Can anybody tell me where he is now? FURTHER UPDATE ~ John Olshena writes with sad news - "I was Tommy Youngbloods best friend since 1971. I moved to New York 4 years ago. I just talked to him a few months ago but I'm sorry to inform you he passed away on June 12 2011." I'm very sorry to hear this - but grateful to Mr Olshena for passing it on. Note ~ Several of the tracks from Tommy's Kent recordings can be found on Ace UK CDs. "Why Should I Be The One" on "Slow 'N Moody Black 'N Bluesy", "Back In The Saddle" on "For Connoisseurs Only Vol 3" and "Tobacco Road", "For The Love Of A Woman" and "Who Will You Favour" on "Pounds Of Soul".